This promotion has been used by corporations, banks, radio stations, and car dealers. You can use cash or coupons in the machine. 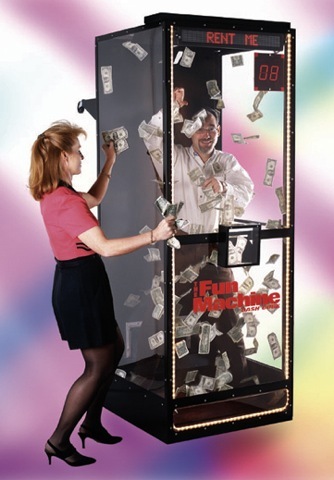 People go into the money machine, grab as much as they can in 30 seconds. Great money maker for clubs.